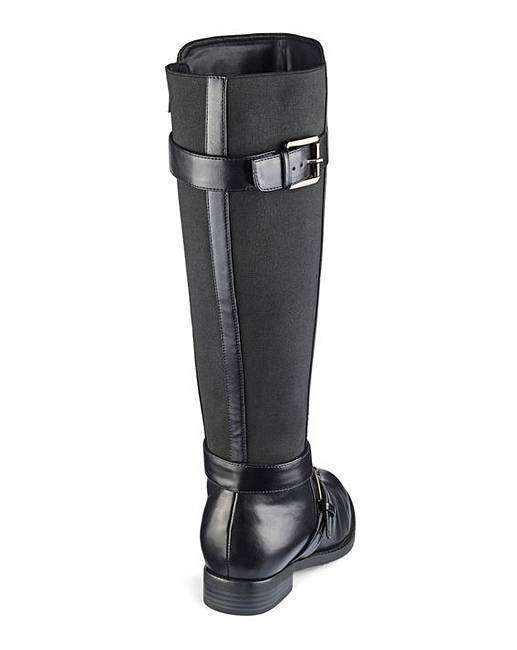 High Leg Boots EEEEE Ex Curvy Plus is rated 3.8 out of 5 by 10. 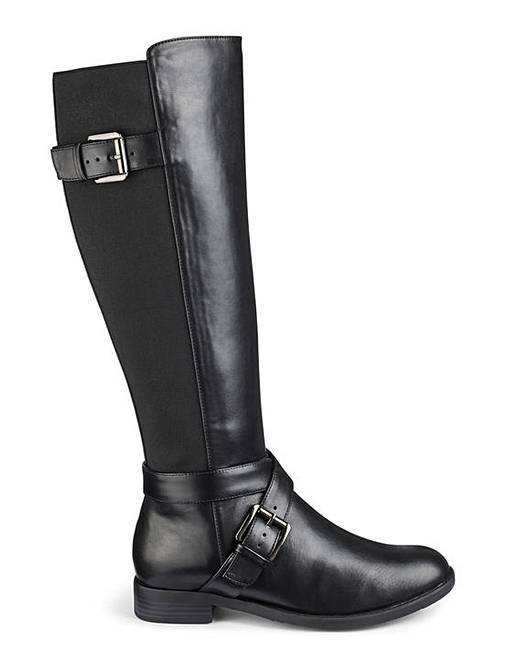 These double-buckle high-leg boots are the perfect boots for this season. Wear with your favourite jeans and a cosy jumper. 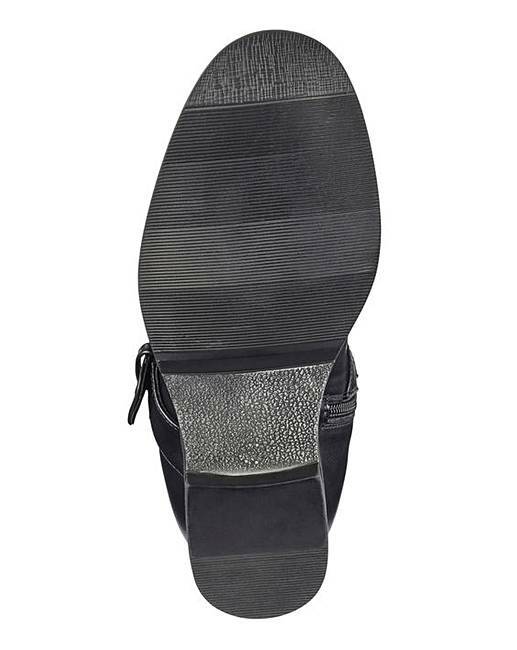 The inside zip ensures easy access and the elasticated panel at the back offers comfort and fit around your calf. Rated 5 out of 5 by Peeps from Nice looking I bought these as I really liked them in EEEE fit, unfortunately I have big fat ankles and find it hard to get boots to fit them. Well this was true of these too could not get the zip to go over my ankles so upset, so sent them back. 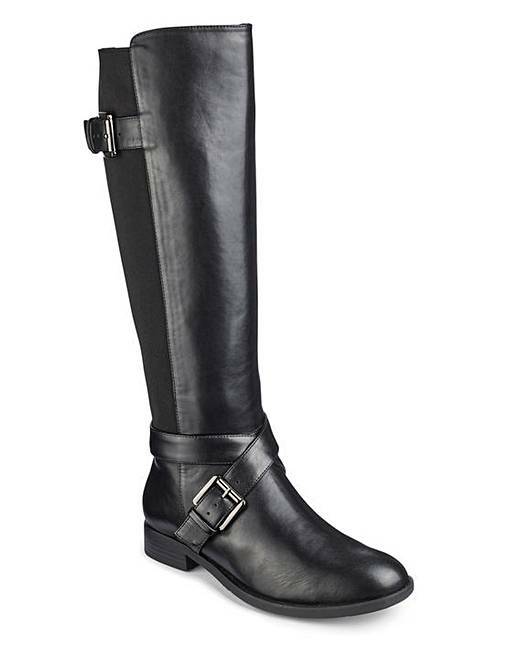 We need boots with bigger ankles please. Rated 5 out of 5 by Samantha from Looks great Ordered these not expecting them to fit to be honest as I have very thick calves but to my surprise they fit and look great! Rated 4 out of 5 by Sonny from Nice boots These are nice boots, but i returned them as even the ex curvy is tight around the calf. Rated 2 out of 5 by Marygb from Too big I the leg Lovely boot and comfortable but the top was far too big and didn’t tighten . Looked like wellies, returned. Would definitely have kept them were they not too big at the top. Rated 5 out of 5 by CountrymumJo from Comfortably wide and smart I bought these boots within the past month and have almost lived in them since! They are so comfortably wide that i can shorten the straps instead of having to make extra holes for a change. Looks as trendy as those bought on high street. Reasonably priced too.